Review by AllTheBestFights.com: 2016-09-10, pretty good fight between John Riel Casimero and Charlie Edwards: it gets three stars. The world champion in two different weight classes John Riel Casimero entered this fight with a record of 22-3-0 (14 knockouts) and he is ranked as the No.4 flyweight in the world (currently the #1 in this division is Roman Gonzalez). He lost to Amnat Ruenroeng last year (=Ruenroeng vs Casimero I) but he took revenge on him in 2016 (=Ruenroeng vs Casimero II). His opponent, the undefeated Charlie Edwards, has an official record of 8-0-0 (3 knockouts) and he entered as the No.77 in the same weight class. He has fought twice in 2016 winning over Luke Wilton and Jose Aguilar. 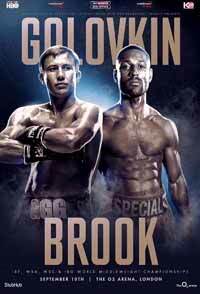 Casimero vs Edwards is valid for the IBF World flyweight title (Casimero’s first defense); undercard of Gennady Golovkin vs Kell Brook. Watch the video and rate this fight!